(2014/Mr.Suit) 12 tracks. 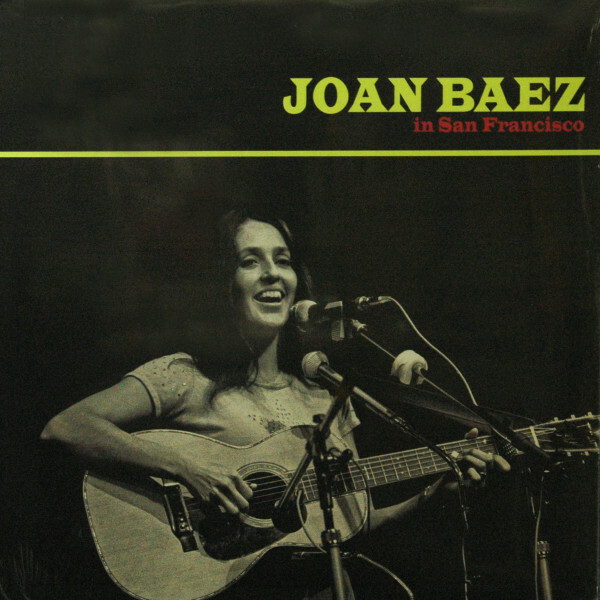 Joan Baez in San Francisco is a crucial addition to the collection of any folk completist. It comprises the album-length session that the then-unknown teenager recorded in June 1958. As she later recalled, 'I was still in high school [when] two guys approached me and said 'hey little girl, would you like to make a record?' They were rogues, but I didn't know that. [So] off we went to San Francisco [where] I recorded everything I knew on a gigantic borrowed Gibson guitar.' The LP includes a dozen songs ranging from recent hit songs like 'La Bamba,' 'Young Blood,' and Harry Belafonte's 'Island in the Sun' to folk club standards 'Oh Freedom,' 'I Gave My Love a Cherry,' and 'Dark as a Dungeon.' A curio from the very dawn of her career - a demo tape that failed in its stated purpose of landing her a record deal - In San Francisco remains an interesting glimpse into the early career of one of the absolute legends of 1960s Greenwich Village folk! Kundenbewertungen für "In San Francisco"